Top community discussions about Ready-Set-Do! 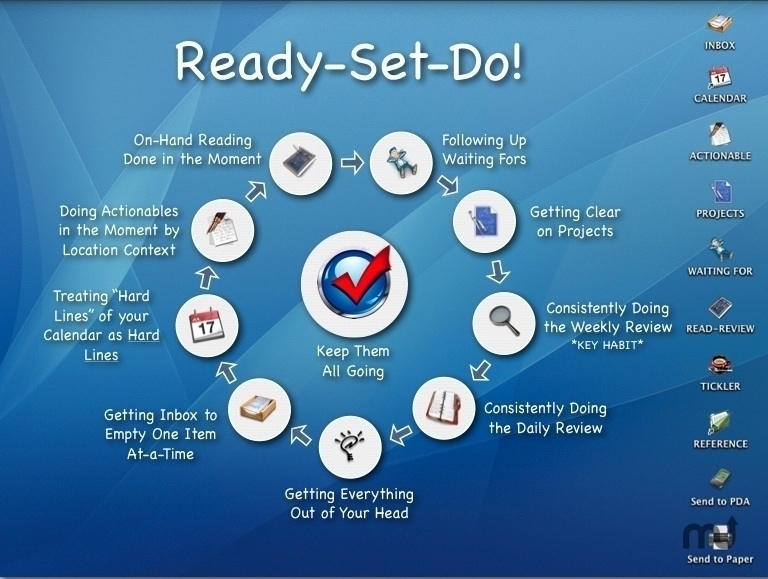 Is there a better alternative to Ready-Set-Do!? Is Ready-Set-Do! really the best app in AppleScript category? Will Ready-Set-Do! work good on macOS 10.13.4? Ready-Set-Do! is simple, reliable workflow on a Mac. It comprehensively integrates all of your files and programs into David Allen's GTD ("Getting Things Done") workflow without locking you into a particular program. Ready-Set-Do! needs a rating. Be the first to rate this app and get the discussion started! See more reviews for Ready-Set-Do!